Don't get me wrong; i like a challenge. However, i kind of have to draw the line at a game where you will die near 50 times making it through the very first stage. Cuphead needs a difficulty selection like a crackhead needs crack. It doesn't have one though and this is the reason why I will likely not play this game for much longer. Everything about this game is incredible. 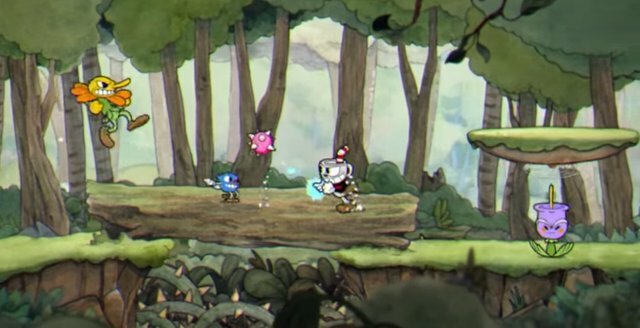 The graphics are a throwback to early 20th century cartoons and all the characters and the settings are just brilliantly drawn. From the moment you start playing it is just an amazing graphical experience that actually isn't terribly demanding on your system. I can quite easily play it on the highest settings on my mid-range laptop which is far from a gaming rig. From the very start it is apparent that this game is going to involve a level of difficulty very few are prepared to face. There are things coming at you from all angles and a mere touch from any 3 things means you lose. You can continue as many times as you want (thankfully) and you can go ahead and plan on doing a LOT of that. The levels seem to be a 50/50 split between platformer and flying shooter and each of the levels have some element of checkpoints. The boss battles take place on their own levels for the most part so at least we have that going for us. The problem is the bosses are ludicrously difficult. This is the very first boss, he has 3 separate "stages" and I think I had to try around 30 or 40 times before I defeated him. It is presented the way that I would imagine a boxing match from the 50's would have played out and it is a lot of fun. It is just too stinkin' difficult because if you make one wrong move you can end up trapped in a corner for an unblockable punch. I know there are a lot of people out there that can appreciate really difficult games like this but I think that the average gamer is likely going to side with me on this one - there are very few people with the patience and time to get through this. If you are one of the people out there that managed to get all the way through then i tip my hat that I don't wear to you my friend - you are a god among gaming mortals. For me, i sincerely hope that there is a patch coming out that will allow a slightly lower level of impossibility. As it stands now, I think this will remain in my Steam (the other one) library underplayed for quite some time. This game is really cheap at around $10, so if you feel you are up to the challenge I say "go for it!" I really like the graphic style from that game. It is timeless and probably still looks good or at least playable in 10 years. Kind of like super mario land on the snes. Yeah, I've seen a lot of people that play this on youtube that have way too much time on there hands and are able to make it way farther than anyone else realistically can. I don't think they'll ever patch in easier difficulties. From my understanding, the developers wanted the frustrating difficulty of older games that were tough for no other reason than they were just insanely frustrating. I think that's part of the era feeling of this game, but I could be wrong. Wow these graphics are awesome! I like easy to medium too. 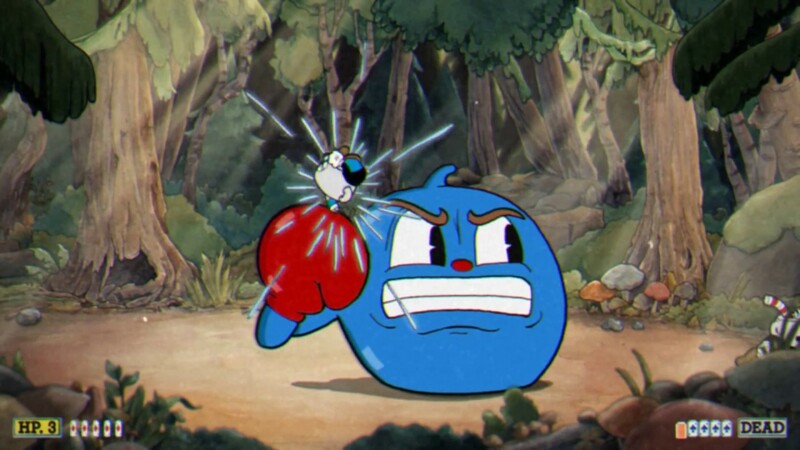 Hey is Brutus from Popeye in this game? there are no actual cartoon characters in the game.... presumably for copyright reasons. I thought Popeye doesn't have copyrights anymore. Thats how old he is. I like this kind of games though it's hard but fun. The only thing that is missing in the game like this is Evolutionary. Probably, where the game will stand out in different platform like WiFi or Bluetooth multiplayer, online or via connection team-up, rare items can be earned in game and not only in the shops. As of Now I am playing a game called "Toram Online" . Toram Online compose of character customization and Player Freedom where your you can be anything you want. It also really user Friendly. Old styled cartoon world with extraordinary characters seem to be very tempting to try, even if it's very demanding. @gooddream I have just watch a couple of minutes of a video called: all bosses. This must be really difficult indeed. But top notch graphics. I love it.